Walking the streets of Bangkok city in the hot weather can get you really thirsty. 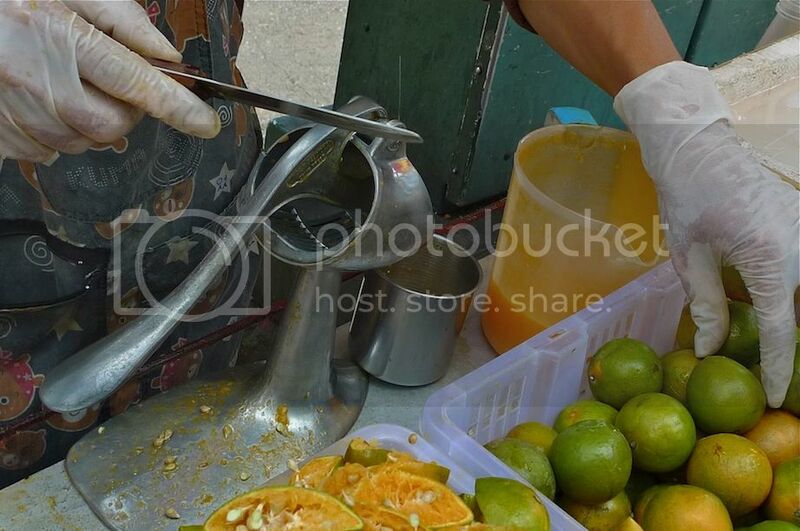 But no worries, because chances are you will see many stalls along the streets selling Thai mandarin orange juice! 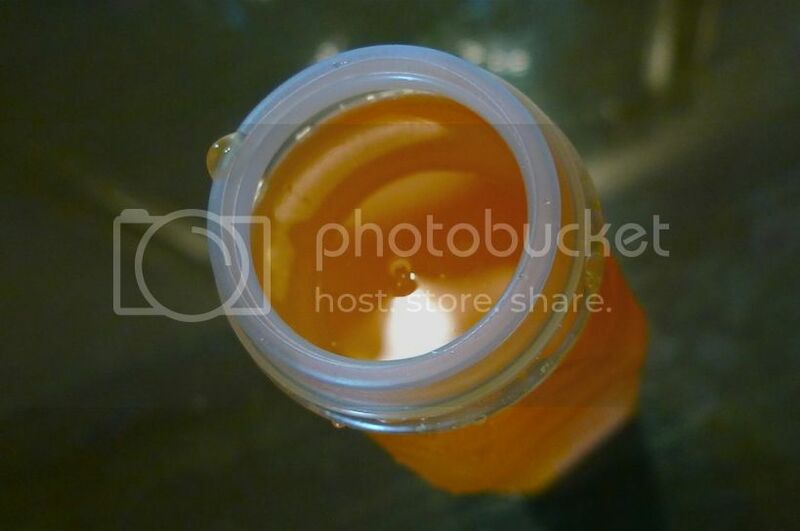 The mandarin orange juice is sold in plastic bottles like the above. OK, the angle of my shot makes this bottle looked a bit distorted LOL! Anyway, I have to say the orange juice is sweet with a hint of sour - perfect as a thirst quencher on a hot day! It so happened that last February, my friend and I were walking along Charoen Krung road and we were thirsty after a yummy meal of Volcanic Fried Mussels and Oysters. We bumped into this stall opposite Robinson Bang Rak. There were loads of green colored mandarin oranges in a basket and some bottles of orange juice in a box filled with ice just next to it. I have seen many of these stalls during my previous visits to Bangkok, and even bought the drinks from them, but this is the first time I took photos of the stall. Haha! 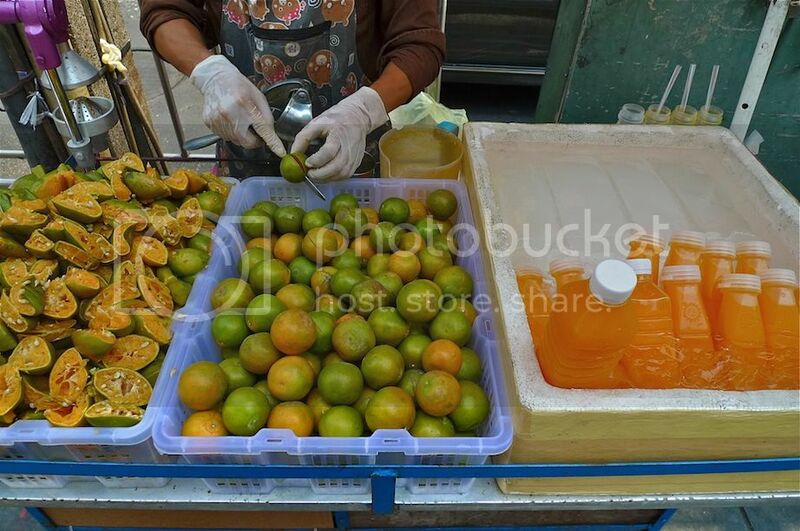 The man at the stall would take the mandarin oranges and cut them into half. Then, he would squeeze the cut oranges with a special gadget. 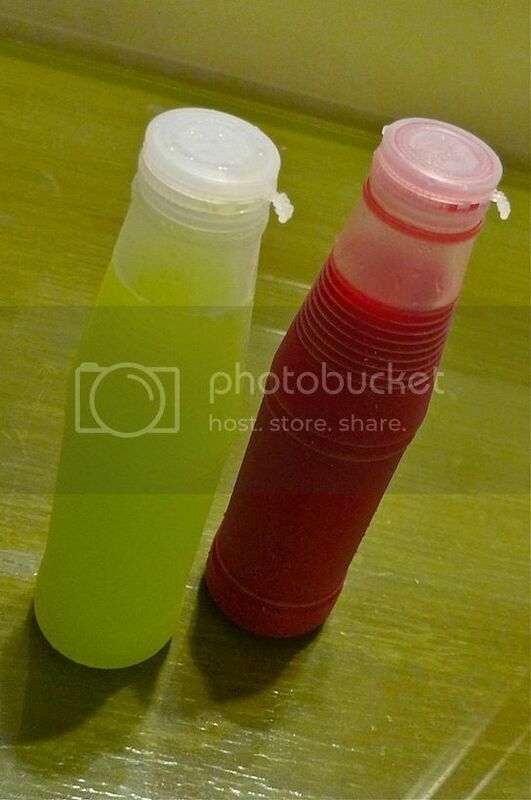 The juice collected in a jug would then be transferred into plastic bottles and placed in the box filled with ice to keep them fresh. Isn't it good to know that they are fresh orange juice with no added coloring and preservatives? Each bottle of mandarin orange juice costs 20 baht (RM 2), which I thought was pretty reasonable. Since I have drunk this orange juice many times before, I decided to try other fruit juices also bottled in the same manner, during this trip. 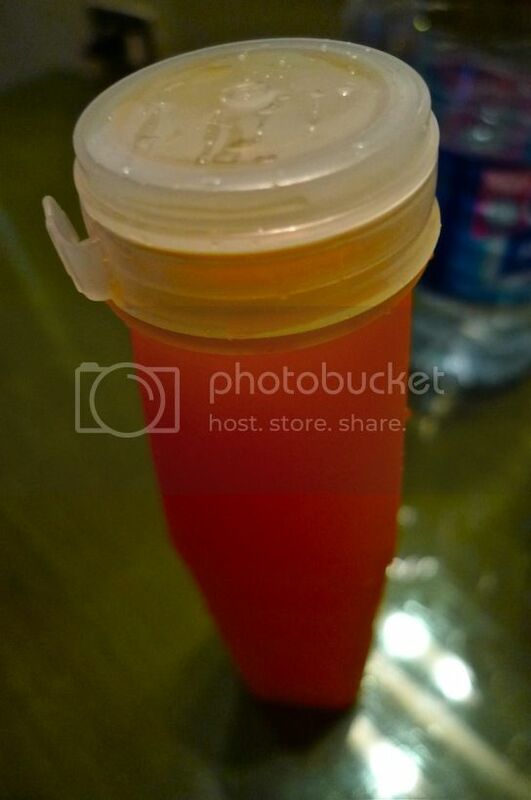 I bought a bottle of guava juice and a bottle of dragon fruit juice at a shop in Silom, also for 20 baht each. They were pretty delicious but I was not sure if these juices contain sugar and preservatives. 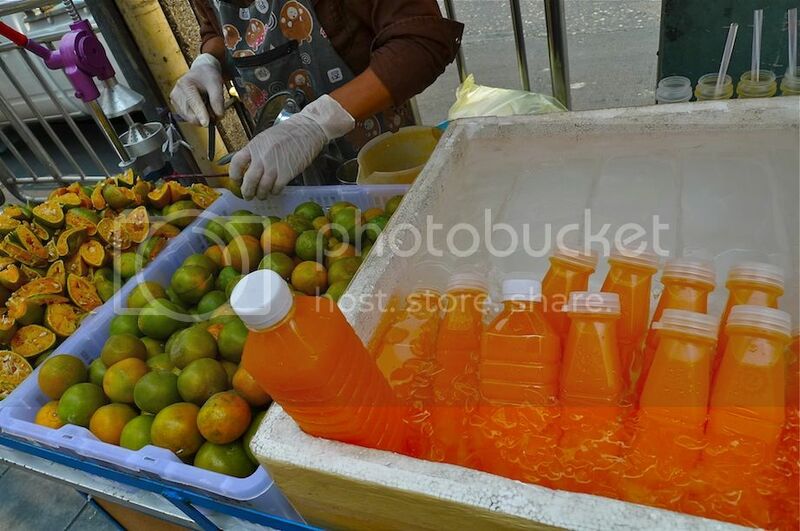 I guess if you want authentic juices, stick with the mandarin orange juice sold at stalls along the streets of Bangkok.